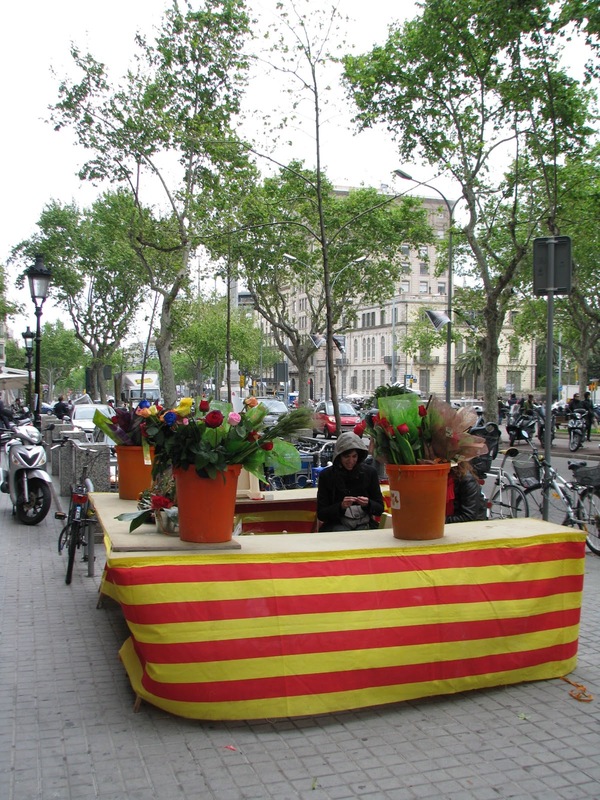 Sant Jordi (or Saint George) was a Roman soldier in the third century CE, who was eventually killed for speaking out against the persecution of his fellow Christians. He has been adopted as the patron saint in many countries, regions and cities, which each give their own spin to his story. In England, his appearance at key moments of some of the Crusades in the Middle Ages apparently sparked his original popularity there, whereas it was in Eastern Orthodox portrayals of the man that dragons and maidens are thought to have originated. There is also the work, The Golden Legend, a 13th-century collection of saints’ lives, which set a story of George and the dragon in Libya. Here in Catalunya, both Jordi’s role in helping embattled soldiers and his legendary dragon-slaying have found their place in local tales. The story of a town besieged by a fearsome dragon that has to keep the creature’s threats at bay by sacrificing its own inhabitants (eventually ending up with the daughter of the king, which is the moment that Jordi steps up to the plate) is, according to the Catalan version of events, not set across the Mediterranean but rather took place in the country town of Montblanc. 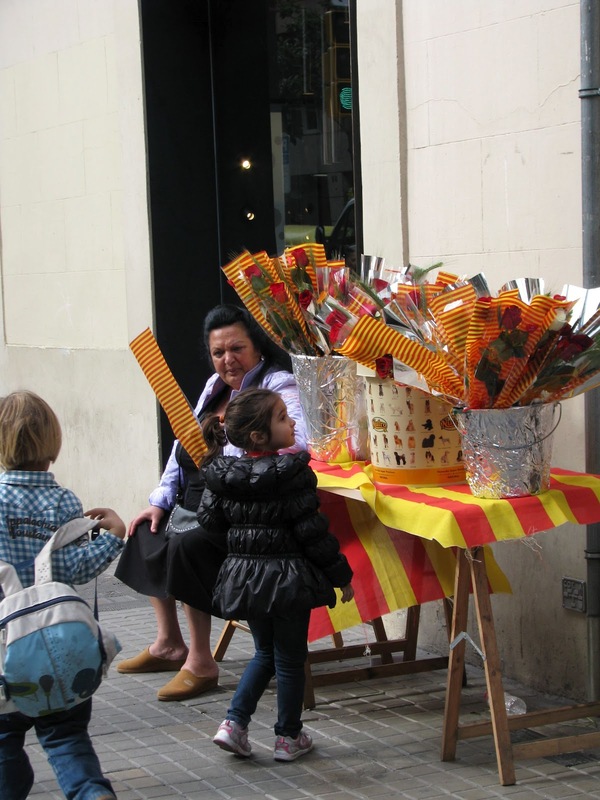 Nowadays, the town makes the most of its famous association with Sant Jordi with a special medieval fair each April. 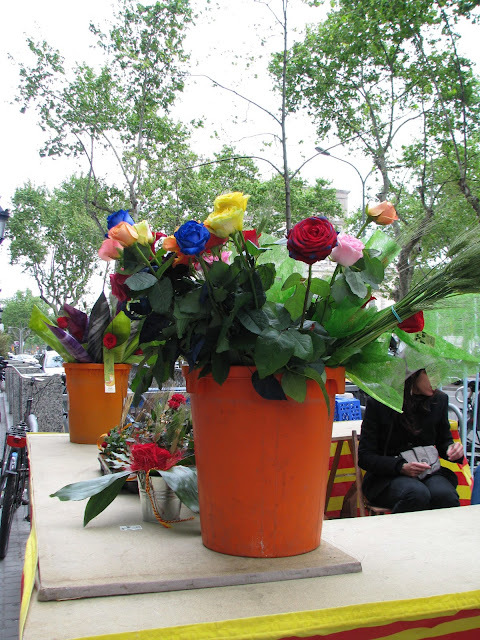 In Barcelona on this day, rose vendors and book sellers line the major streets of Barcelona. Roses are supposed to be given as gifts for girls, and boys receive books. 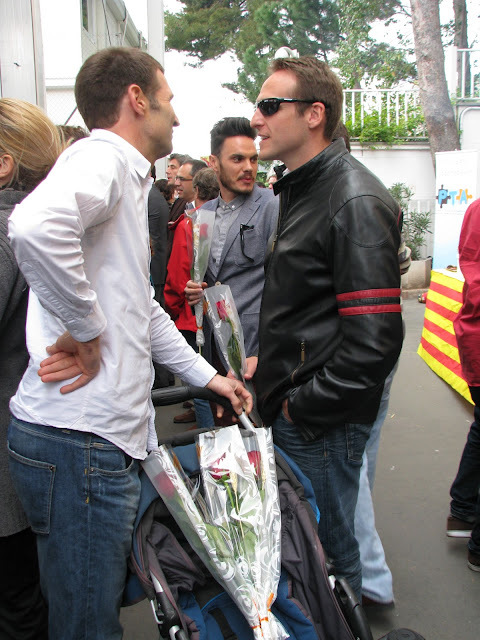 As early as the 15th century, nobility took part in a mass at the Sant Jordi chapel at the Palau de la Generalitat on April 23rd, coinciding with a romantic Rose Fair at the palace. That's where the rose tradition comes from. April 23rd is the day William Shakespeare and Miguel de Cervantes died in 1626, so Spain's Day of the Book was changed in 1930 to April 23 (from October 7). 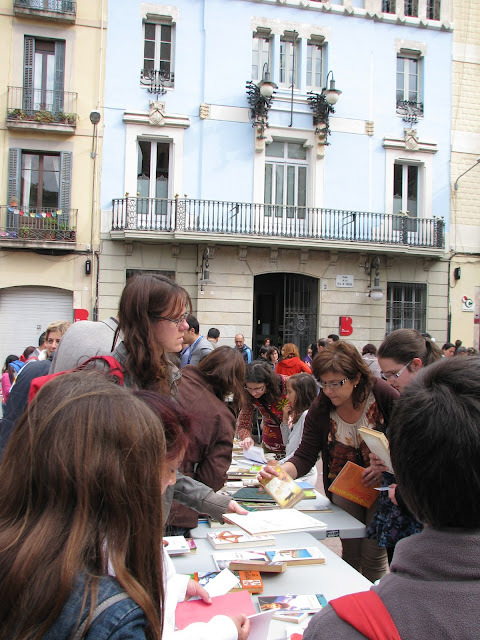 When the Day of the Book was changed to April 23, books soon became part of the Sant Jordi's Day celebrations. In 1995, April 23rd was declared by UNESCO the World Book and Copyright Day. Book sales on the day of Sant Jordi represent 5-8% of total annual book sales in Catalunya. 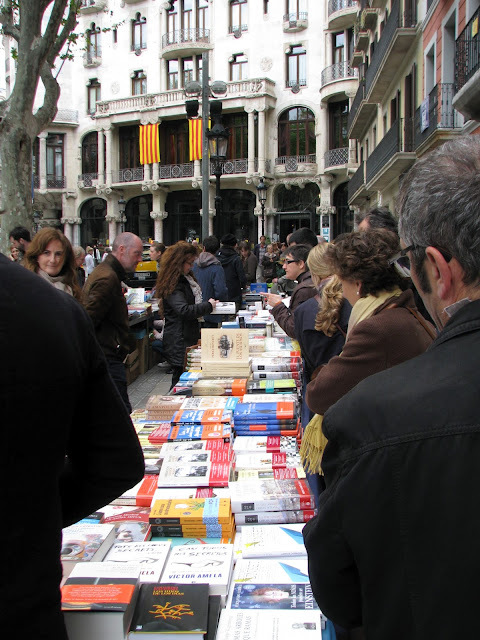 In 2011, 19 million Euros were made from book sales on this day. Here's our school's celebration. Little kids dressed up like knights and damsels. 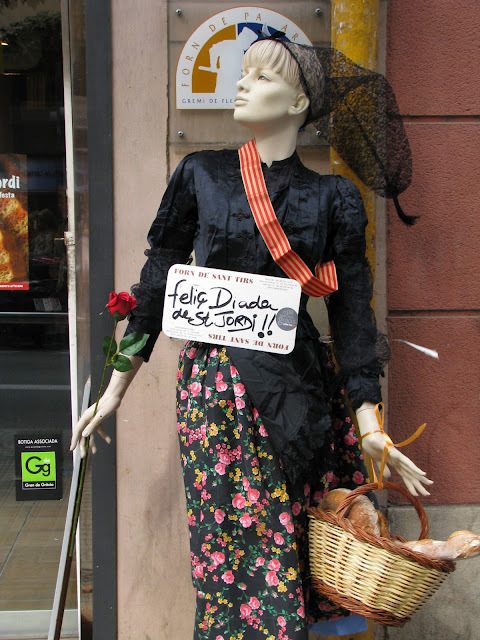 Botifarra con pa amb tomaquet (sausage and bread with tomato) = traditional Catalan food. 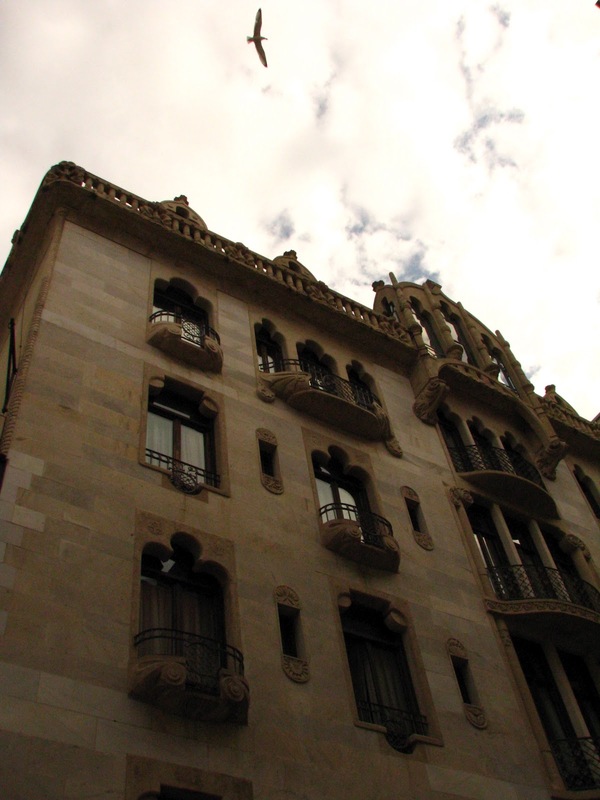 Walking along Passeig de Gracia. Rose venders and book sellers. Eventually it got so crowded that I had to turn around and head home. Easily peopled-out, I am. But I love the tradition of the books and the roses!